CREOLE'D FASHIONED 8 Votes Up! CREOLE’D FASHIONED 0 Votes Up! 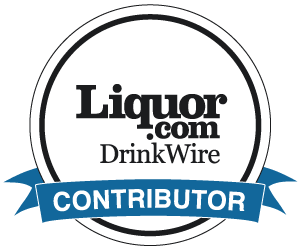 5 Whiskies Under $50 2 Votes Up! Canada’s 9.09% Rule 5 Votes Up! Smoke + Mirrors 14 Votes Up! Perfectly Fine Manhattan 20 Votes Up! Sparkling Dragon Fruit Cocktail 3 Votes Up! 13 Syrups/Mixers Made Simple [For Non-Bartenders] 14 Votes Up! The Magenta Sour Cocktail 1 Vote Up! The Witch Hunter 5 Votes Up! The Sand Castle Cocktail 1 Vote Up! THE THYME LINE 2 Votes Up! THE WHITE BOULEVARDIER 0 Votes Up! Hotline Bling Cocktail 2 Votes Up! Whisk(e)y 101 – A Complete Beginner's Guide 2 Votes Up! TOP 13 WHISKEY COCKTAILS YOU NEED TO KNOW 12 Votes Up! THE CACTUS MOLE MILKSHAKE 1 Vote Up! THE RYE + GINGER RE-INVENTED 0 Votes Up! COCO JANE 1 Vote Up! THE TAMARIND SOUR 1 Vote Up! RAMBUTAN GREEN TEA COCKTAIL 0 Votes Up! 11 Hilarious Bourbon Terms (You Probably Never Kne... 15 Votes Up! THE COPPER CAFE 1 Vote Up! KNOB CREEK MASTERCLASS [EVENT] #bourbonnightVAN 4 Votes Up! RED CURRANT JULEP 0 Votes Up! Hyssop Lemon Julep 1 Vote Up! RHUBARB JULEP 3 Votes Up!